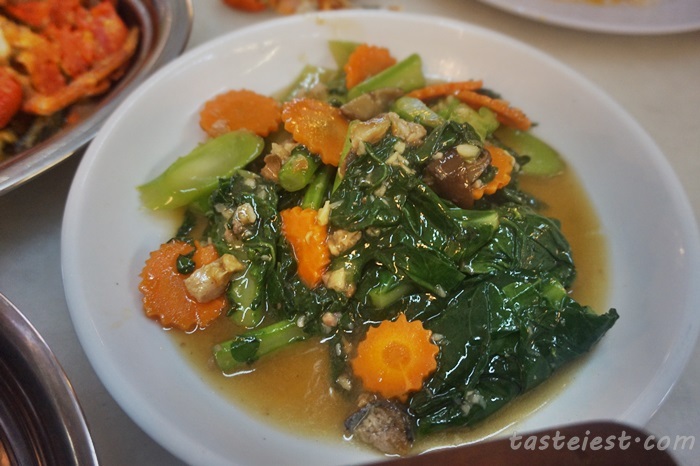 Hsinchu Food Garden which we visit last time for TomYam noodle and now we are back here again for Chu Char. 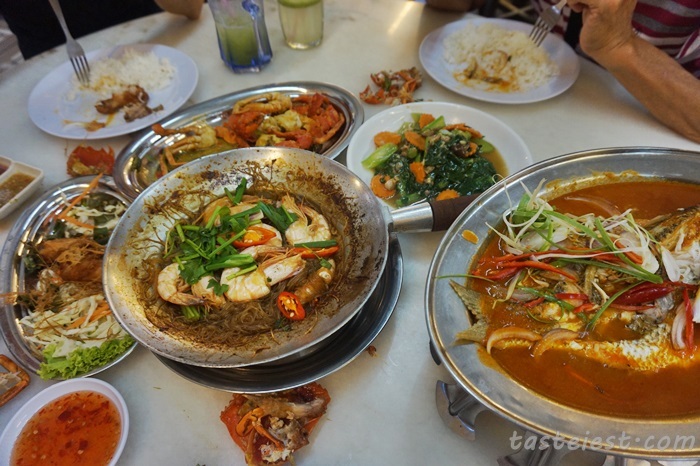 Seem like they have quite extensive menu for Chu Char, whole lot of different foods and fresh seafood available as well. 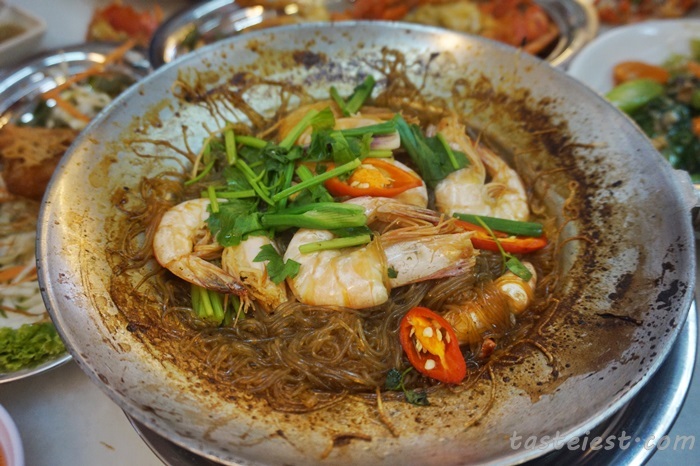 Tanghun Prawn, glass noodle is cook with pepper and prawn to springy texture. Prawn is fresh as well. Lemon Grass Chicken RM12, highly recommended dish that has very great flavor. 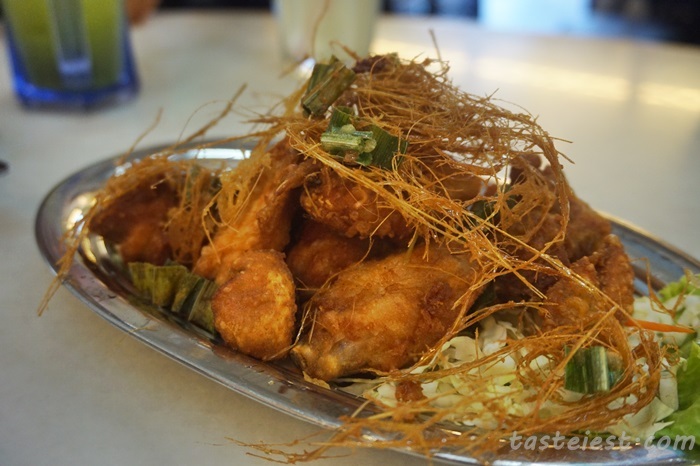 They shredded lemon grass and prepare it with some other herbs then deep fried with chicken. The chicken is nice deep fried, very crispy outside while maintain soft texture inside. 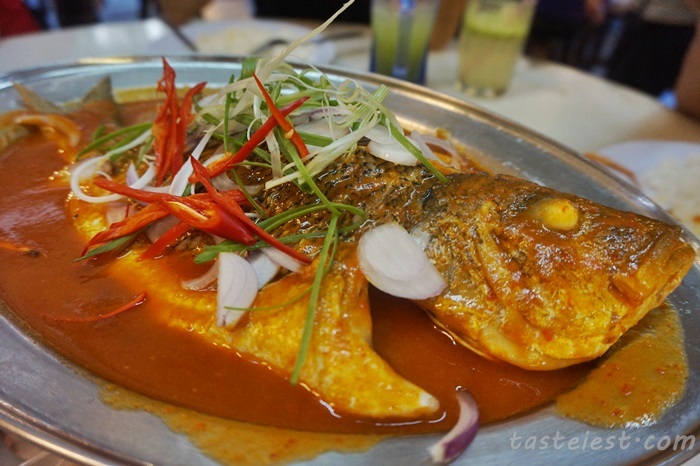 Pinang Sauce Fish, the sauce taste sweet with mild spiciness. Fish is quite fresh and taste not bad. Salted Egg Yolks Crab, honestly this is one of the very disappointing dish. 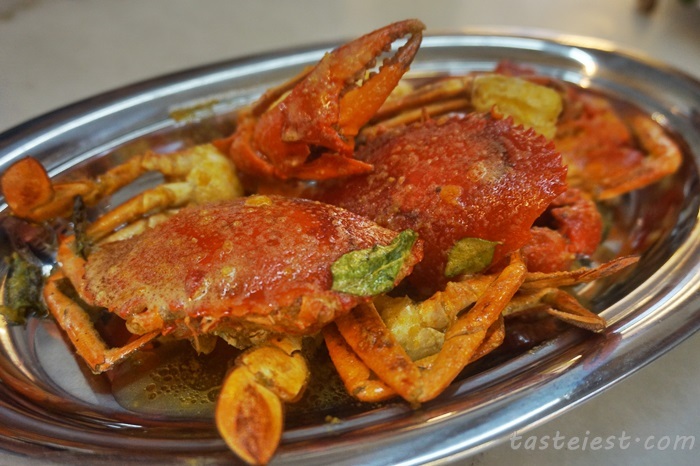 Crab is extremely small and not much meat as well, salted egg yolks also not blend well with the crab.